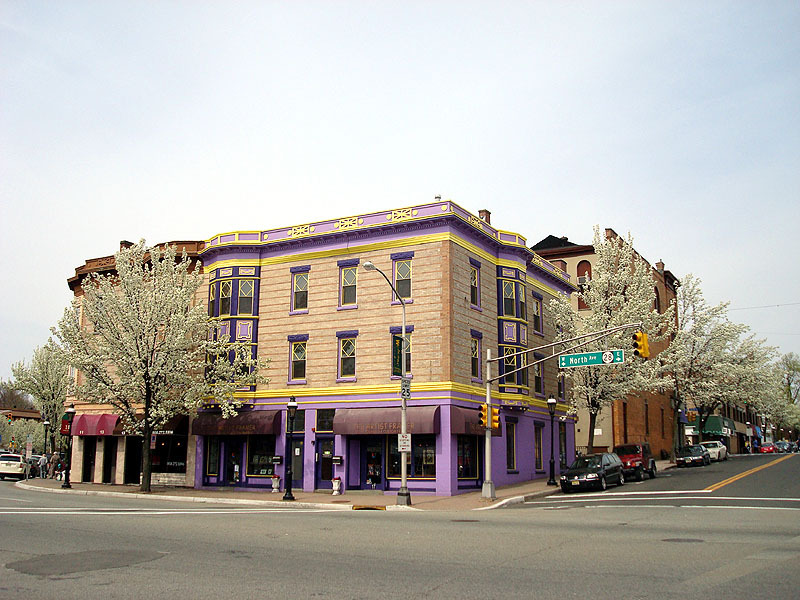 The Artist Framer Building at 17 North Ave E in Downtown Cranford is a striking purple in color. I loved it the very first time I saw it. Last edited by kalim2008; 04-19-2009 at 01:57 PM.. The Cranford Town Clock from a different perspective. The shops behind it are in buildings dating back all the way to the beginning of the 20th century. 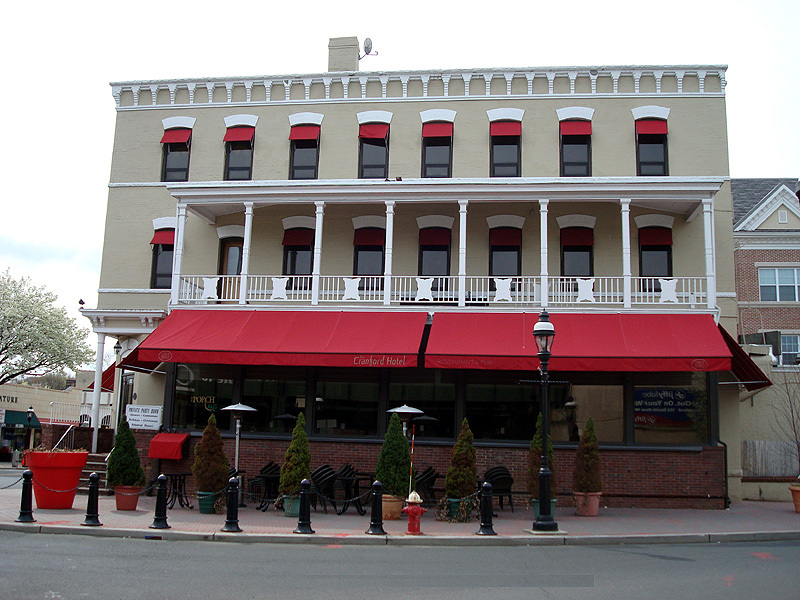 Built in 1893 by the Hess family, The Cranford Hotel's convenience to the railroad tracks made it a popular stop for businessmen. In 1946, the hotel was sold to the DiTullio family and remained in use as a hotel until the early 70's. It endures today as a favorite restaurant and meeting place - boasting a great filet mignon, authentic thin-crust pizzas, as well as a bevy of burgers, beers and sandwiches. Btw, behind and to the right of the hotel, you can see a part of one of the large Cranford Crossing buildings. Last edited by Newarkbomb; 04-19-2009 at 06:30 PM.. 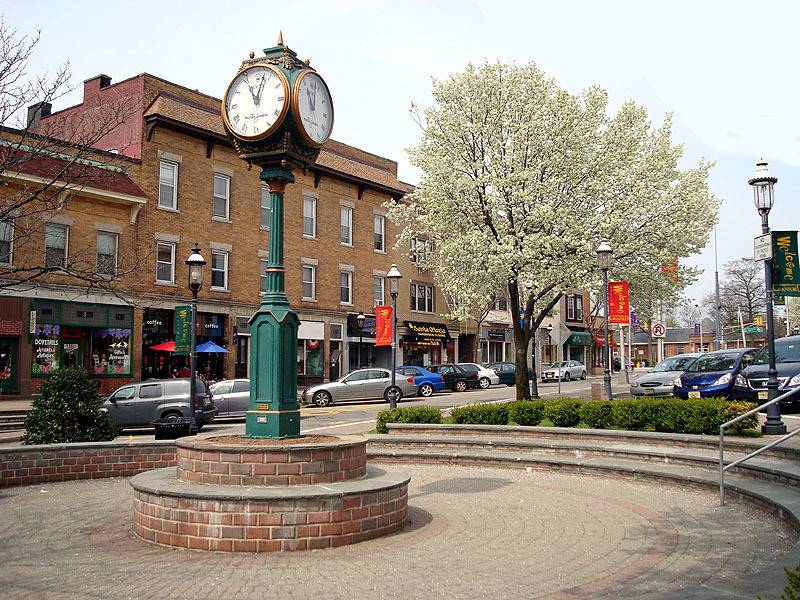 Does anyone have pictures of the "downtowns" of Allendale, Upper Saddle River, Saddle River, Alpine, Closter, Haworth, and Bernardsville? Last edited by zhelder; 04-19-2009 at 07:02 PM.. Early Sunday morning in downtown Cranford, near the intersection of North Ave and North Union Ave. 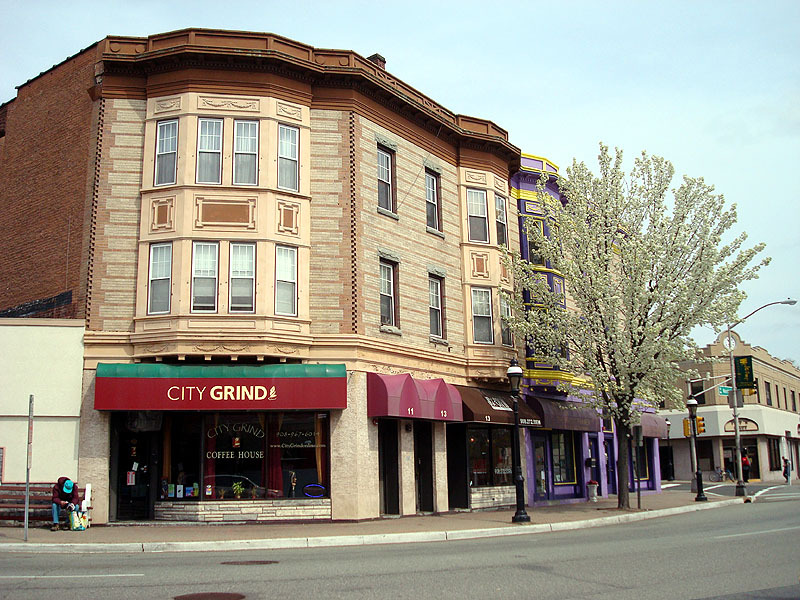 The City Grind coffee shop is in the foreground, and in the distance, past the traffic light, you can see the Puff N' Stuff store, which specializes in tobacco products and other miscellaneous confections. Thanks for the tip...but in order to do that, you'd need the pic to be on a web page, right?